As you may be aware, 2018 brings changes to the world of indoor rowing. The inaugural World Rowing Indoor Championships (WRIC) is being held at the Erg Sprints in Alexandria, Virginia, February 17-18, in partnership with World Rowing (FISA) and USRowing. This change also brings with it changes and opportunities for indoor para-rowing. Please read carefully! There is a lot of detail here, and it’s all important. In 2018, for the first time ever, there will be two different world championship para indoor rowing events. The first is a 2000 meter, FISA-sanctioned, para event, and the second is a 1000 meter championship para event. You do not need to qualify for either event to register. Open (no age group recognition), has no weight categories and recognizes two genders. For the three main FISA sport classes: PR1, PR2, and overall PR3. The World Rowing Indoor Para Championships does not recognize PR3 subcategories. All 2k para event competitors must be FISA-classified to enter this race. There is limited time to be classified prior to the event. If you want to be FISA-classified, you must contact FISA immediately to complete the process. Send your urgent request directly to FISA at: rebecca.orr24@gmail.com. Recognizes seven categories of ability: PR1, PR2, PR3(VI)-visually impaired/blind, PR3(ID)-intellectually disabled, PR3(AK)-above knee amputation, PR3(SA)-single arm, and PR3(PD)-physical disability. Descriptions of the sport categories can be found on RegattaCentral. In addition to the above categories, there will be a remote 1k event for FES Rowers (functional electrical stimulation rowing) held at Community Rowing in Brighton, Massachusetts, on Sunday, February 18, for those SCI athletes in the EXPD rowing program at Spaulding Hospital in Cambridge, Massachusetts. We hope to live-stream video of this event to the spectators in Alexandria. You need to validate your sport category when you register for this 1k event; three options are outlined below. Use your FISA or National Governing Body classification, if you have either one. If neither of these options are available to you, you can self-classify—choose the category you believe is most appropriate to you—and then attend the fitting session at the race location on Saturday, February 17 before the para events to have your choice confirmed by race officials. If you choose this option, you MUST attend this Saturday fitting session at T. C. Williams High School between 9:00 a.m. and 5:00 p.m. The following information applies to ALL competitors, no matter which para race you are doing. Reminder: there is no qualifying time standard required for participation in either of these events. All competitors (both 2k and 1k entrants) must fill out the Classification and Sport Category Verification Form and send it to markm@concept2.com. This form offers multiple options for helping us make sure all competitors are in the proper sport category. In order to support fair racing, you must submit this form before entering the race floor. All competitors that are entered in PR1 or PR2 sport categories must attend a fitting session on Saturday, February 17, at the T.C. Williams High School between the hours of 9:00 a.m. and 5:00 p.m. If you are supplying your own seat for the race, you must bring that equipment to the fitting including seat clamps, strapping and seat padding. 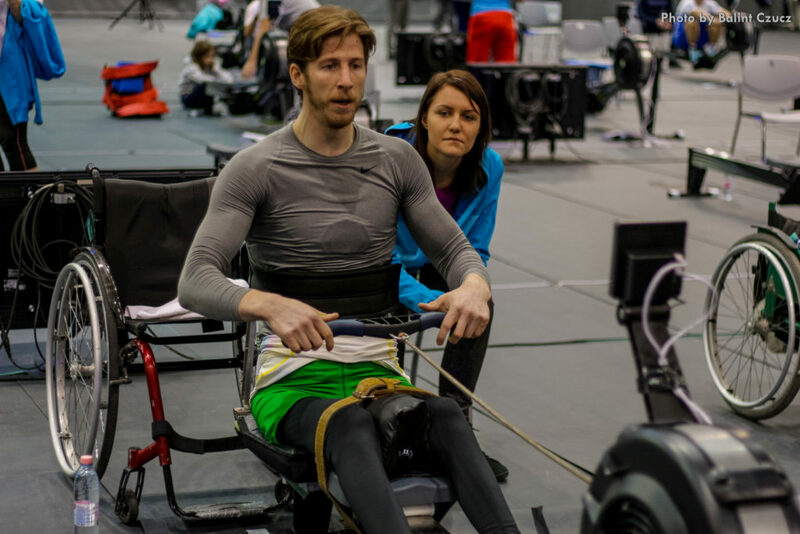 Concept2 has posted para-rowing qualifying times for both the 1k and 2k events. Concept2 provides the airfare for up to four competitors from each of the 19 official satellite regattas of the World Rowing Indoor Championships based on published qualifying times. If there are more than four qualifiers at any one satellite regatta, regatta organizers make the selection decisions. There are hotel accommodations at the Crown Plaza Old Town Alexandria available with discounted rates for competitors. We hope to see you in Alexandria! This post first appeared on concept2.com. Concept2 is a WRIC partner.